In order to truly and effectively conquer a culture, it is important to eliminate or, at the very least, rewrite their history. Within one generation, a mere 25 years, their traditions, beliefs and practices will literally fade into the past and this new perspective will ultimately become their reality. A firm understanding of this concept is important because it separates the meaning of two words that are commonly, but incorrectly, used interchangeably…reality and truth. Reality is a person’s perspective on a specific subject and there can be several different perspectives on any given subject. The truth, however, is concealed deeply within the combination of all the perspectives and it requires extra effort from an individual to ponder and think beyond their own perspective to find the actual truth. Sometimes facts are intentionally obscured, left out or altered to influence a desired outcome; when that happens, the perspective has been changed and a new reality can be projected and perceived. So what then happens to truth? This is not a philosophy lesson by any means but relate the above concept to the media and its potential. The media has the ability to influence, to change one’s perspective, to alter their reality if you will; it’s a very powerful estate and one that needs to be utilized wisely. But I submit to you that its power has been abused. The media, all media, no longer report the facts; they report a perspective and depending upon who is reporting the information is whose reality you are going to get. Now, relate this to history and how those who write it have the ability to change a reality and replace it with a new “truth”. When we think of William Randolph Hearst the first thing that we think of is Hearst Castle and the amazing stories on how he unselfishly and lavishly entertained the most influential people of his time. We remember hearing about the extended courtesies of his providing entire wardrobes for his guests while they resided at The Castle. We remember how his family so kindly donated Hearst Castle to the State of California so that millions of people could enjoy it. What a wonderful picture history paints of this man. Or should I say what a wonderful picture history RE-paints of this man? What you will learn here about William Randolph Hearst might surprise you. What you were not told about him was that in the early years of his reign as a media giant he was the ultimate Progressive/Socialist and an enemy of our Constitution. He supported The American Socialist Movement’s philosophy of a large, centralized Federal Government that was to somehow magically solve all of society’s ills. In order to accomplish these ends, he aggressively used his vast influence as a media magnate to destroy the stronghold of the United States Constitution; state’s rights. He knew that by silencing the state’s voice in Washington DC he would be able to open the gates for the Progressive/Socialists to march in and exact their evil influence over our republic. As if that wasn’t enough, Hearst’s motivation was first and foremost opportunistic. 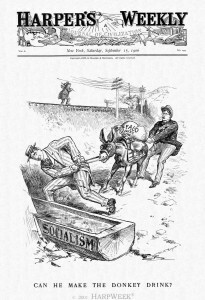 The Socialist Movement provided Hearst with an opportunity to promote himself, his empire and change the very nature of the role that Journalism played in the United States. In last week’s letter we entered a quote by Comrade Hearst where he very clearly exposed his ambitions for the Press to replace the States Legislatures as the “protectors of the people and the States”! Wait a minute! I thought that was why our Founding Fathers gave us a Constitution! I thought that was why they created a House of Representatives to represent the people and a Senate to represent the states! I thought that it was these elective bodies that were constitutionally assigned the tasks of protecting us from the Federal Government! Why then was it Mr. Hearst’s ambition to have a faceless, unelected body of narcissistic cowards act in their stay? The answer is: POWER, MONEY AND INFLUENCE ! William Randolph Hearst wanted nothing more than to springboard the press into becoming the most powerful and influential body in America. His ambition was clear; to use the press to influence thought, thereby influence policy and pave the way for Socialism’s grand entrance into America. There was, however, something standing in his way; the gatekeeper of Liberty and the watchdog over the Federal Government; it was the powerful United States Senate. In an effort to remove this Constitutional obstacle from his path he unjustifiably targeted the Senate by hiring a literary hit man, by the name of David Graham Phillips, to write a piece that would be published in Hearst’s own Cosmopolitan Magazine. He published a series of 9 Articles beginning in March of 1906 entitled, “The Treason of the Senate”. In these articles, Mr. Phillips exposed the worst in the worst Senators. He exposed their pasts, their inside deals, their crimes and their selfish maneuvering. But the smarmy trick that Mr. Phillips played on America was that he blamed the corruption of these men on the manner in which they were elected. Remember that Senators were originally appointed by each state’s legislature. Though the allegations of corruption were often trumped up and more often misrepresented, Mr. Phillips was successful in his charade to shift the focus from the actual corruption of these Senators onto the manner in which they were appointed. Keep in mind that the Senate was established to protect state’s rights at the federal level; state’s needs and interests are established and held by each of the states legislatures. His goal was to sever the ties between the state legislatures and the Federal Government. Armed with a host of sensational lies, misrepresentations and outright deceit, Hearst through Phillips, set out to convince the American people that the direct election of their Senators would ultimately give them more power and put an end to the corruption in the Senate. Both were lies. For years Hearst and his crusaders pushed for the direct election of U.S. 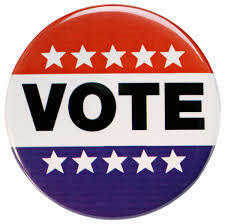 Senators and finally, in 1913, the 17th amendment was ratified under the Progressive/Socialist Woodrow Wilson. Ever since 1913, not a single state in the union has had true representation at the Federal Legislative table and the American people have had no buffer to protect them from the power grabbing clutches of an overbearing and ever expanding Federal government. Our system of checks and balances was shattered. 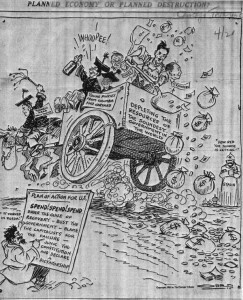 What did the 17th amendment do for corruption? NOTHING! What did the 17th amendment do for the people? NOTHING! What did the 17th amendment do for state rights and sovereignty? IT DESTROYED BOTH! 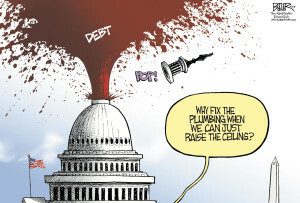 What did it do to the U. S. Senate? IT DESTROYED IT! Ah, but what has the 17th done for the Progressive/Socialists who believe in expanding the influence of the Federal Government? It established its dominance over the states. It lengthened its reach into the homes, bedrooms and lives of the very people who were fooled into supporting its ratification. It broadened its influence over private businesses and industries. It allowed it to establish control over the minerals and precious resources under the soil and in the forests located within the legal boundaries of each sovereign state. The Federal Government has assumed millions upon millions of acres of state land and declared them National. It has allowed them the latitude to arbitrarily impose hostile and oppressive regulations that are intended to target and destroy industries that do not help them promote their agenda. Look at this administration’s promise to “bankrupt the coal industry” and their promise that “under their policies, energy costs would skyrocket”. Look at Obamacare, it is tragic, Socialist garbage designed to do two things; cripple the health care industry and exact more control over the American People. Since the states have been handcuffed, the Federal Government can waste our tax dollars on any program that it feels will advance its agenda; take Solyndra for instance. 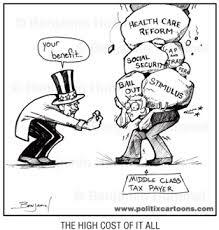 Because spending is now unfettered we have a national debt approaching 18 trillion dollars; we are broke. The 17th amendment gave way to this kind of reckless abandon and insane Executive power. There are two questions that I seek answers for: When will the American people realize that it’s time to re-establish states rights and take back this nation from a radical and out of control Federal Government? and When will The honor, dignity and authority of the upper chamber be restored so that a U. S. Senator can, once again, stand strong and courageously in defense of his or her state? 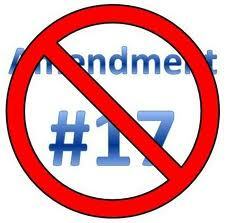 It’s time to Repeal the 17th Amendment to the United States Constitution. I can think of no other call for public action that is more important to the survival of this republic than that of the immediate restoration of state’s rights. Our Constitution ensured that each state would remain a sovereign and independent entity and that together, as a united Republic, they would “pay” the Federal Government to perform certain tasks that each state could not perform efficiently on their own. Our Forefathers never meant for the Federal Government to have the power to tell the states what they could and could not do. In fact, they were so concerned with the prospect of the Federal Government growing too powerful that our Founders established the US Senate specifically to protect and defend the states against the possibility of any such future tyranny. As far back as 1781, maintaining state sovereignty was an important issue with our Founders; this is evidenced by an entry made in Article II of the Articles of Confederation that reads; “Each state retains its sovereignty, freedom and independence….”. Around 1890, there emerged a group of people who didn’t like the fact that the Federal Government was controlled by the States and more importantly they didn’t like the fact that it had to confer with the States, in all matters, before this protective body known as the United States Senate. This group of people, who opposed the rightful sovereignty of the States, were the Progressive/Socialists. Their greed for power, money and control of America’s precious resources drove their cause to redefine and “transform” these United States by lying to the American People. 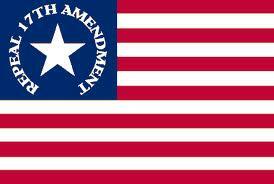 They, by a conniving scheme, introduced the 17th amendment. They fooled America into believing that the direct election of Senators would give the people more power, mitigate corruption and eliminate the interference from special interest groups. This was an ingenious plan but it was nothing more than a wicked plot to destroy the world’s first and only Representative Democracy. Their campaign was based on lies and packed with misinformation, but it worked. Since that time, so many people have grown to believe that their vote doesn’t matter. How many people don’t even bother going to the voting polls because they honestly believe that their vote doesn’t count? The answer is MILLIONS! The reason that people feel powerless nowadays is that we truly are. There is no real “state representation” in Washington DC anymore. There is no one doing battle to ensure that each state retains their sovereignty and maintains their Constitutionally guaranteed right to govern themselves. What the American People have forgotten is that it was the Progressives who so deviously destroyed the original intent of U.S. Senator, which was to protect the states and the people from being pushed around by the Federal Government. 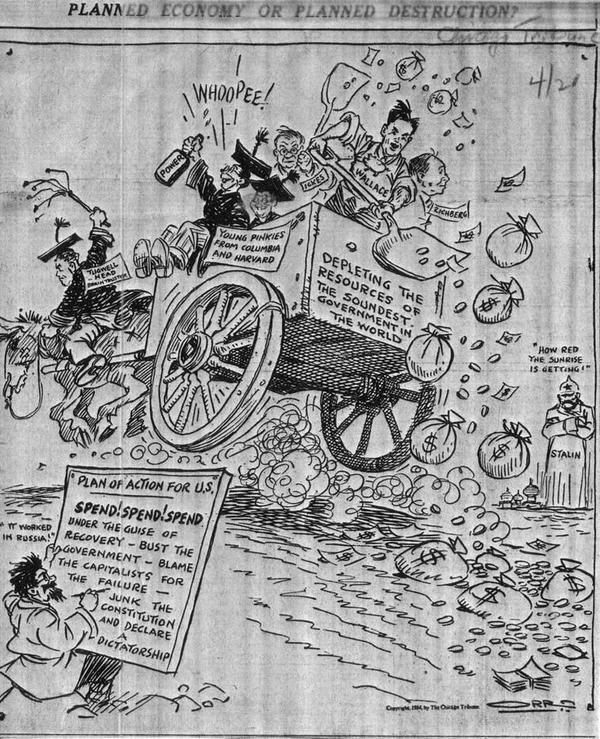 When the 17th amendment was ratified in 1913, the Progressives went full steam ahead, cramming their will down the throats of American People. Since that time there has been a huge expansion of the Federal Government at the expense of individual and state freedom. Do you ever stop and wonder why there seems to be no one in Washington DC who truly represents your values or stands up for the things that you believe in? The reason is that the “powerhouse”, the Senate, that used to be the state’s watchdog over the Federal Government has completely lost it’s authority. Since 1913, no state has had the ability to send representatives from their legislatures, so the states, who were once the mighty keystones of liberty have become a powerless, voiceless and invisible entity. In steps the Federal Government began to exercise the power that they stole from the Senate, aided by the newly proclaimed watch dogs of the American people and the “keeper of their freedoms”…The Press. William R. Hearst “The Treason of the Senate “. This was obviously a selfish and wicked act to propel the power of the media, to ring shank the American People and to expand the Progressive/Socialist agenda of increasing the power of the government. How well has that worked out for us? 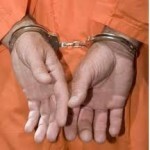 Every single state in this union has been handcuffed since the ratification of the 17th amendment. The Federal Government has literally held every state, and therefore every person, hostage. They now have the power to dictate, mandate and impose programs, regulations and legislations that the people don’t want. Take ObamaCare for instance. I guarantee that if each state had PROPER representation in the U.S. Senate, this tragic, manipulative and overbearing mandate would never have been forced down our throats. It never would have even made the floor for consideration. 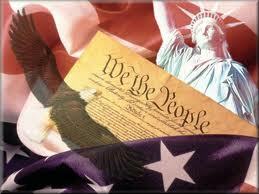 ObamaCare and the Progressive/Socialists owe the victory of this oppressive legislation to the 17th Amendment. So, who is going to stand up to an out of control Executive (with a pen and a phone) and tell him that he can’t have any more money? Not the US Senate! 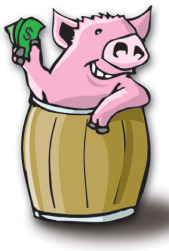 Stop and think for a second about where the Federal Government gets its money…Yes, the States and the people. Remember that the original intent of the Federal Government was to be an “employee” of the collective states. The Federal Government was supposed to listen to us on how much of our money we wanted them to spend and on what. The Feds are out of control with our hard earned money. They spend our money recklessly then turn to us and DEMAND more. When was the last time you heard a president politely ask for more money? NEVER! 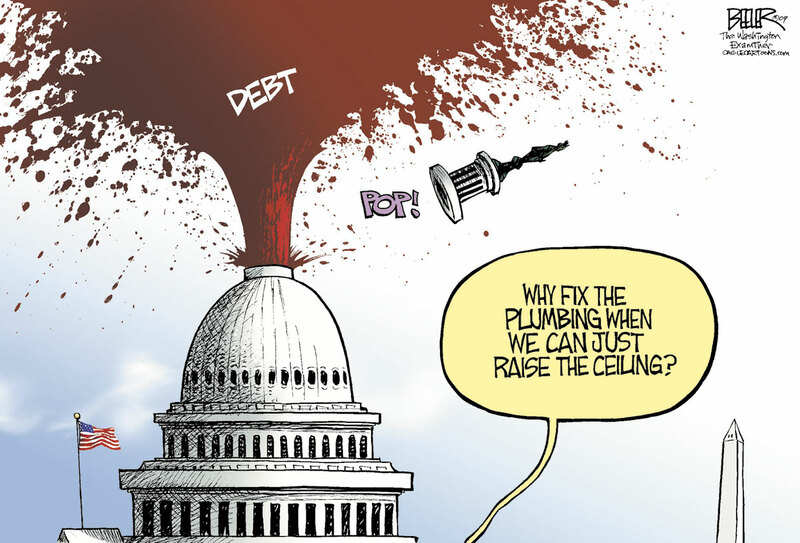 They DEMAND it through tax hikes and penalties but they never make an effort to cut spending. The 17th amendment made sure that the states would have no power to stand up and say “NO MORE” because the Senators are little more than “Yes Ambassadors” for the Federal Government. More often than not these days, our esteemed US Senators see themselves as representatives of the Federal Government, whose job it is to sell the Federal Agenda to their States. With over 17 trillion in national debt how much more can we pile on our children and Grandchildren? This is real folks! This is a serious injustice that we are inflicting on the up and coming generation. We say that we care about them; we say that we are looking out for them, we make them wear seat belts, bicycle and skateboard helmets, demand that fast food establishments offer apple strips instead of French fries then we break their backs with a crushing debt that they will NEVER be able to get out from under. Who is benefiting from this “its for your own good” type of government? The answer; the Federal Government, because the more that they “give”, the more they can control the states and the people. A full repeal of the 17th amendment would bring a little common sense to Washington DC in the form of 2 representatives from each state legislature that will stand up and say “We’re not going to take it anymore”. Who decided that it was ok to fund programs with money from hard working Americans that benefit an embarrassingly small group of people? How many programs exist that benefit NO ONE? We laugh about these programs all the time; programs like the study of the reproductive habits of snails and the like. What good comes from these programs? More importantly, WHO CARES? The snails might care but they already know how they do it; so I ask again WHO CARES? Representatives from each state legislature, TRULY representing the interests of each state would have the power to put their feet down and put an end to this kind of insanity. It sounds funny but it’s not a laughing matter; it’s a foul and disgusting misuse of our money and it needs to stop. A repeal of the 17th amendment would give each state a fighting chance to put an end to this kind of ludicrous spending. 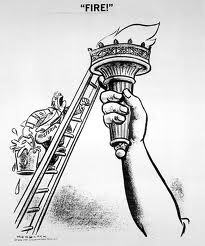 Dear Liberty, will you help us make a move toward restoring the original order of this country? 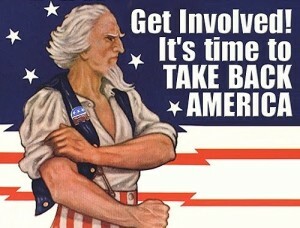 A true republic where THE PEOPLE and THE STATES are TRULY in control of the Federal Government. Help us move together as a people who will view our diversity as a strength and who will no longer stand for the divisiveness of a lawless Executive who wants nothing more than to divide us up and watch us destroy each other. 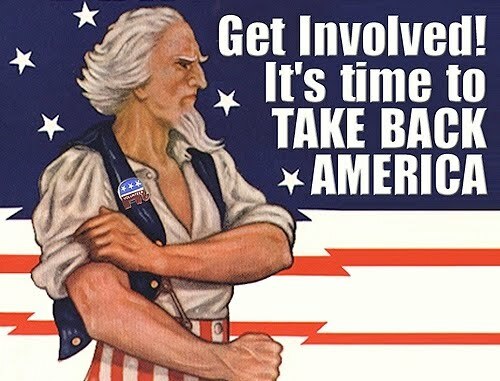 Help us stand together with the courage that we need to put the states back in the driver’s seat with a repeal of the 17th amendment and a firm repudiation the Progressive/ Socialist tyranny that has been plaguing our beloved republic. Something has occurred to me, something so simple and subtle yet so devious and cunning. For years I have listened as our legislators and members of the mainstream media have tried their very best to convince the American People that certain laws needed to be passed. As I have listened to their speeches and read their columns I have observed something; the subject of each was not important…it was the carefully selected verbiage of their sales pitch that got my attention. I began to find entertainment in picking out the freshly minted turns of phrases that will saturate the airwaves and soon infiltrate the conversation around our dinner tables. However, on reflection it wasn’t so entertaining when I realized that it was all part of a planned manipulation. I heard terms like “common sense legislation” “meaningful legislation” and wanting to enact policies that “just made good sense”. These terms were all followed by lengthy rhetoric intended to convince me that THEY knew more about what I wanted and needed than I did. Then they mixed in terms like tolerance, freedom, equality, prosperity and even mentioned you, Liberty, in a blatantly deceitful play to win my trust……..to lull me……….no, to con me into the misguided belief that their ideas were somehow in complete harmony with the American Spirit and our Constitution. Check these out: Nancy Pelosi in 2008 continuously spoke about her “Commonsense plan” to lower gas prices. When that plan was finally revealed, gas prices literally skyrocketed. During her tenure as Speaker of The House, she incessantly referred to the unconstitutional Dream Act as “commonsense legislation” in an effort to “sell” the bill to the American People. October, 2013, MSNBC Online reporter Clare Kim stated that “Rep. Pelosi, Sens. Boxer and Feinstein will march……..for “common sense gun laws”. President Obama, April, 2013, ” We can pass “common sense laws to protect our kids…” The fact is, behind closed doors they decided to label their legislative initiatives as being “common sense” in a clear effort to draw attention away from the fact that they are most likely in direct conflict with our Constitution. This is the kind of trickery that the Progressives are using these days; fortunately, our Forefathers gave us a Constitution to refer to and guide us. You see, Liberty, when it’s labeled “common sense”, people are naturally afraid to oppose it because if they do, they might find themselves a target for harassment, humiliation or ridicule. The Iron fist of Socialism or Authoritarian Progressivism does not like opposing ideas; especially when those opposing ideas will limit or minimize their power. Dare to speak out against them and you risk being defined as intolerant, hateful, ignorant or worse yet…racist. The questions that I want all of America to be asking when we hear words like “common sense legislation” … are… “Is the proposed legislation Constitutional?” and “Whose liberty is at stake?”.